Designed to look like new for life, Brilliance® finishes are developed using a proprietary process that creates a durable, long-lasting finish that is guaranteed not to corrode, tarnish or discolor. 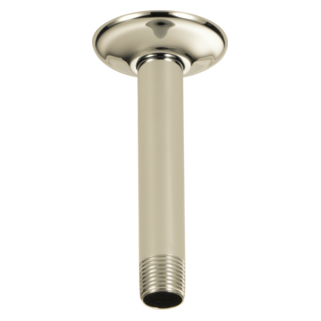 This glossy Polished Nickel finish provides a delicate elegance that can make almost any room pop. The polished surface reflects back deep shadows from your space, creating contrast within the pale gold tones which takes on a new light from every angle. While other products may gather unsightly mineral build-up over time, Delta soft rubber Touch-Clean® spray holes allow any mineral residue to simply be wiped away for an instantly refreshed look – with no need for soaking or the aid of chemical cleaners. Question on Delta 52158 and 52159 Raincan Showerheads - are these CSA approved? 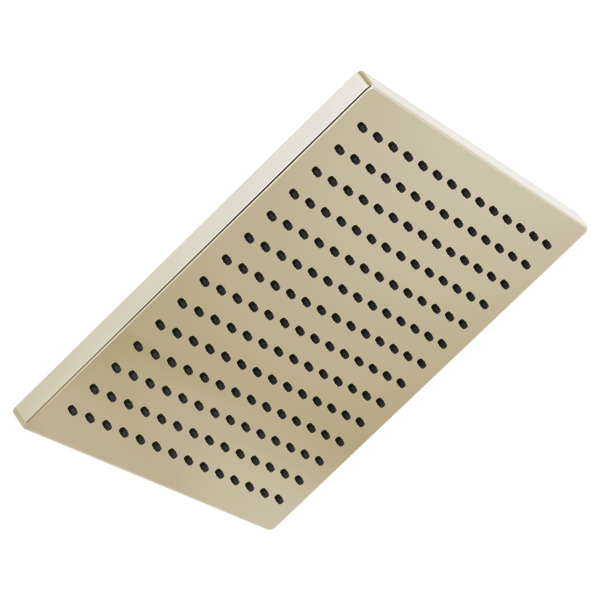 &nbsp;I can't find them on your Canadian website but could purchase in the U.S.
What are the dimensions of the shower head? I'm looking for a 12&quot; x 12&quot;. Where is this available for purchase? I cant find it at lowes website. 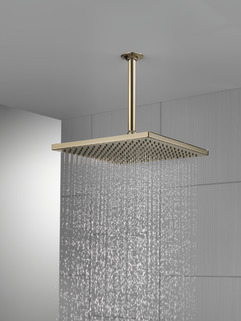 What are the dimensions of this showerhead? what are the specifications of this shower rose ? Is there a ceiling mount in matte black that works with this type shower head?